How long does it take us to recognize a good idea? When Margaret Fuller, the well-known feminist and writer, visited Europe in 1845-46 she recognized the needs of working women. She endorsed the idea of the government providing crèches which could be supervised and where children would receive adequate food and care. More than 150 years later, American society has still not managed to accept that idea although almost every country in Europe provides public crèches or nurseries for preschool children. The news during this Women’s History month has several stories that echo the concerns of nineteenth and twentieth century women that are still unfulfilled. Some women with children at home (as well as many men and women without children) have seized upon the idea of working at home, telecommuting to their offices. This month the CEO of Yahoo has decreed that employees will no longer be allowed to work from home, but must come into their workplaces every day. Mingling with other employees is thought by many people to stimulate innovation and creativity. Certainly being with other workers engaged in tasks similar to yours can be stimulating and inspiring, but why must it always be talked about in sweeping generalizations? Doesn’t it seem to you that there is a natural rhythm to work? Talking with other, exchanging ideas and listening to suggestions can get you started on a task, developing a project or writing a report, but once started it is often better to have a quiet location to work in isolation. Pulling ideas together and shaping them is a solitary occupation. Many kinds of work should offer some flexibility. Employees who have the freedom to choose the location in which they work often make stronger contributions to an organization than those who are rigidly forced to conform to the rules designed to suit the majority but not the individual. This discussion about employee flexibility, of course, only applies to a subset of women who work outside the home. Teachers usually have to stay in the location where their students are (although that is changing in online teaching), clerks in stores have to be available at check-out stations, mechanics usually have to be where the cars are, and crossing guards had better be at their crossings. These women need flexibility not so much in where they are but in where their children are. This leads to the second big news story for Women’s History month—the call for universal preschool education. President Obama talked about the need to start educating children while they are young. Once again America loiters behind the rest of the developed world in offering education to young children. What are we afraid of? Scientists and educators agree that children who start pre-reading activities while they are young and who learn the habits and social skills important in their future success, do far better than those who spend their preschool years in front of a TV. Let’s all push to finally achieve this goal. Women’s History month is a time not just for looking back but for looking ahead to new achievements. 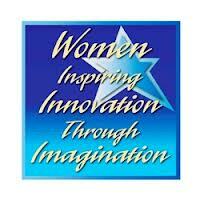 The theme of the 2013 celebration is Women Inspiring Innovation through Imagination. What better way is there to achieve this goal than by helping all children start young on the path toward learning and fulfillment?